Hummus is incredibly nutritious, easy to make, and mushy enough not to be a choking hazard. It’s made from wholesome ingredients, has a smooth and creamy texture that babies love. And we bet it’s something you will enjoy making and eating! But can babies eat hummus? It’s healthy, tasty, versatile, and can literally be whipped up in minutes. You can eat it as a dip or a spread, add it to sandwiches and wraps, or even enjoy it on its own. And, yes, you can even feed it to your babies. Hummus is made from cooked garbanzo beans (chickpeas), tahini, garlic, lemon juice, olive oil, and seasonings all blended to form a smooth paste. It can also include ingredients like spinach, beetroot, red pepper, and other spices. Hummus plays a huge role in traditional cooking in the Middle East, but it has become so popular that you can eat it practically anywhere in the world today. Hummus makes for excellent baby food because it’s chockfull of vitamins and minerals. 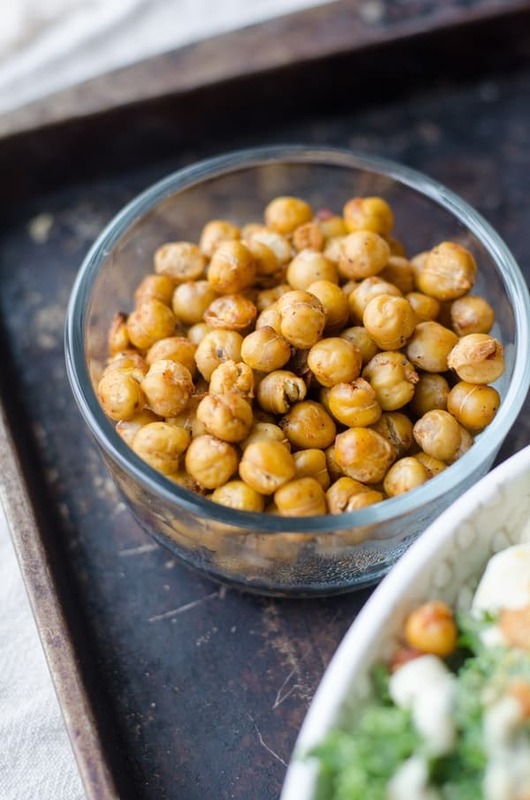 According to a study in the journal nutrients, chickpeas and/or hummus is a good source of iron, magnesium, potassium, vitamin A, vitamin C, vitamin E, and polyunsaturated fatty acids. It’s also perfect for your baby’s developing palate and digestive system. You can tweak the recipe (i.e., remove the spices) to make it bland enough for little mouths and easy enough for little tummies to digest. Babies can start eating hummus at 8 to 9 months old, which is when you can begin introducing new flavors and textures to their diets. The paste-like consistency of hummus makes it easy for babies to chew and swallow. And if you’ve got a picky eater who won’t eat their greens, you can try adding hummus to the servings. The creaminess of the hummus will cover up the bitterness of the vegetables and make the food more palatable. While hummus is healthy and quick to prepare, there are those who should think twice before serving it to their babies. Some of the ingredients in hummus can cause an allergic reaction. There are also some that can upset your baby’s sensitive digestive system if you add them to your little one’s diet too early. What some parents are most concerned about in hummus is tahini or sesame paste. Tahini is made from toasted sesame seeds and oil blended together. Sesame seeds are among the most allergenic foods and, like peanuts, can cause severe allergic reactions. If your family has a history of food allergies or if your baby already suffers from allergic reactions to other types of food, you may want to delay adding hummus to his diet. Waiting until he is one year old or older may be best. Allergic reactions to sesame seeds are rare, but with children this young, you should always err on the side of caution. The good news is that you can still have hummus without tahini. It won’t taste the same, but the nutrients will be there, as well as the lovely creamy texture. To avoid tahini, you should make your own hummus and leave the ingredient out. If you’re buying hummus, check the label for sesame paste or tahini. Chickpeas are known for causing gas. If you introduce this to your baby’s diet too soon, it may be hard for your little one’s tummy to handle. With babies who have a history of indigestion, cramps, or other digestive issues, it’s probably best to wait a bit before serving hummus. If you’re preparing your own hummus, you can reduce its gas-producing properties by soaking and rinsing the chickpeas repeatedly before you boil them. While this is rare, there are also babies who have had allergic reactions to chickpeas. If your child is allergic to soy or lentils, there’s a chance that he may be allergic to chickpeas too. Spicy food can be introduced to children when they’re around two years old. If you like your hummus spicy, make a separate (non-spicy) batch for your little one until he shows preference for spicier hummus. Spicy food can irritate the digestive tract, so ease him into it by serving small portions of spicy food after he turns a year old. The raw garlic in hummus offers numerous health benefits, but it can also irritate the tummy and cause gas. To avoid this, reduce the amount of garlic you put in your baby’s hummus until he’s about two years old. Hummus is excellent for babies and can be served in dozens of different ways. You can serve them mixed in with mashed vegetables for smaller babies or as a dip for raw or steamed vegetable sticks for older babies. You can smear it on a cracker, add it to toast, spread it over baked chicken, or top a baked potato with it — the possibilities are endless! So, can babies eat hummus? Sure, they can, as long as they have no history of food allergies, particularly with seeds and legumes. And as always, if you’re uncertain, it’s still best to check with your doctor.